Kale is a super food! 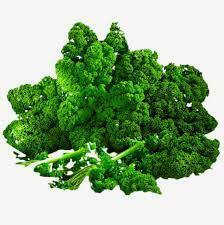 Did you know one serving of kale has more calcium than a small carton of milk! Not only is it good for your bones, it also has tons of vitamins and minerals that are good for your eyes, your muscles, and fight off harmful bacteria. It even has more vitamin C than an orange! 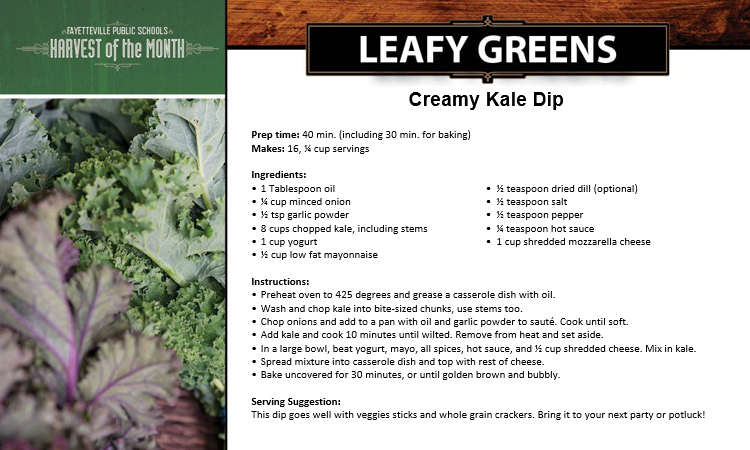 Try this yummy Creamy Kale Dip. It is great with veggie sticks and crackers. This recipe was developed by Mrs. Rogers FACS class at Ramay Junior High!